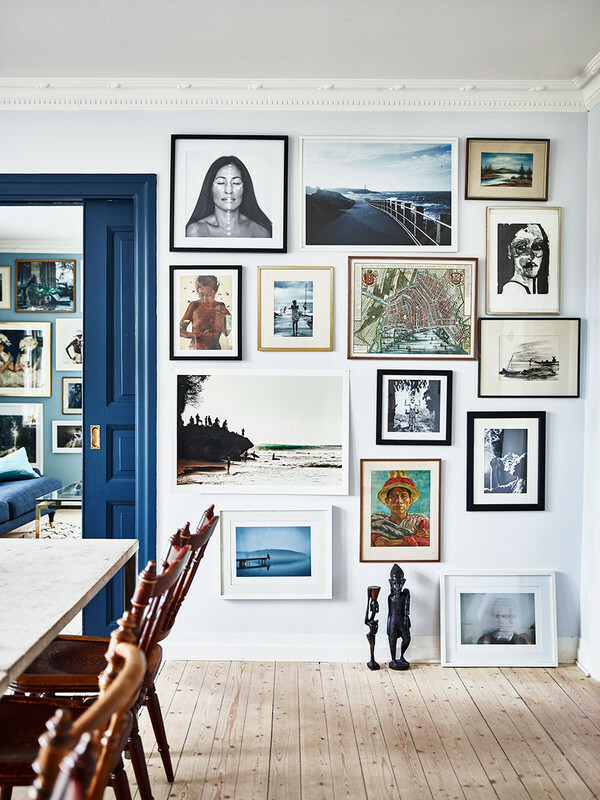 Gallery walls are always a hit and is something that can help show more of your personality in your home. They can bring so much life to a boring wall in and transform the space completely. They can be as big or small as you want and can range from any color or style—whichever suits your space and personality. Now, we can all agree about how much we like them, but putting one together can seem like a hard task; one that might get you discouraged. Don't back out now, keep reading! 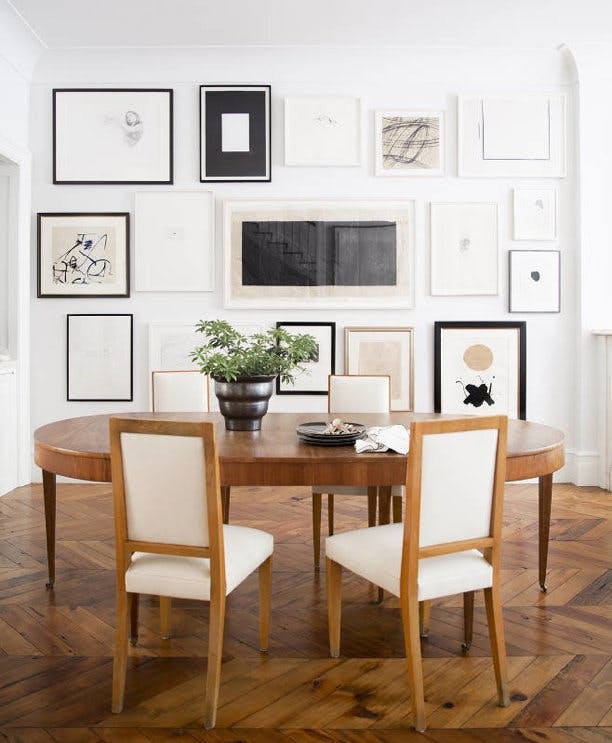 We're going to give you a few tips on creating the perfect gallery wall that complements and adds to your ideal space! Maybe you want to fill a boring blank wall. Maybe you have a few pictures you love but you don't know what to do with them. Maybe you just want a gallery wall since they're fun and cute. 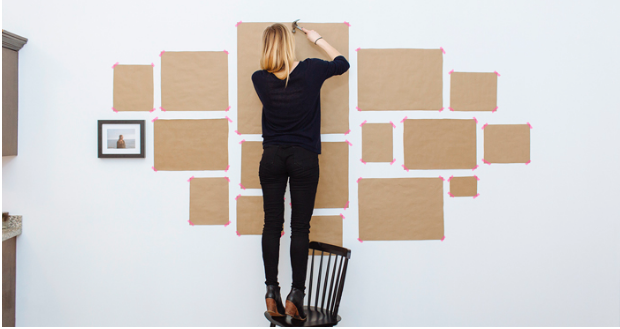 Whatever the reason is, make sure you plan out your purpose or the story you want your gallery wall to tell. Do you want it have a certain style or color theme? Think it out, brainstorm, get inspired, and most of all have fun with it. This should go without saying, but it's still something we felt was important to add. 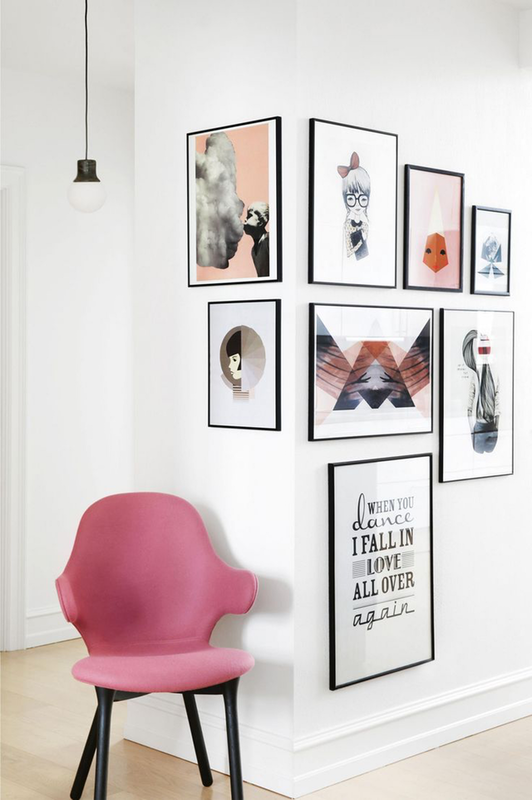 If a picture goes with your theme but you kind of hate it, don't add it to your gallery wall! 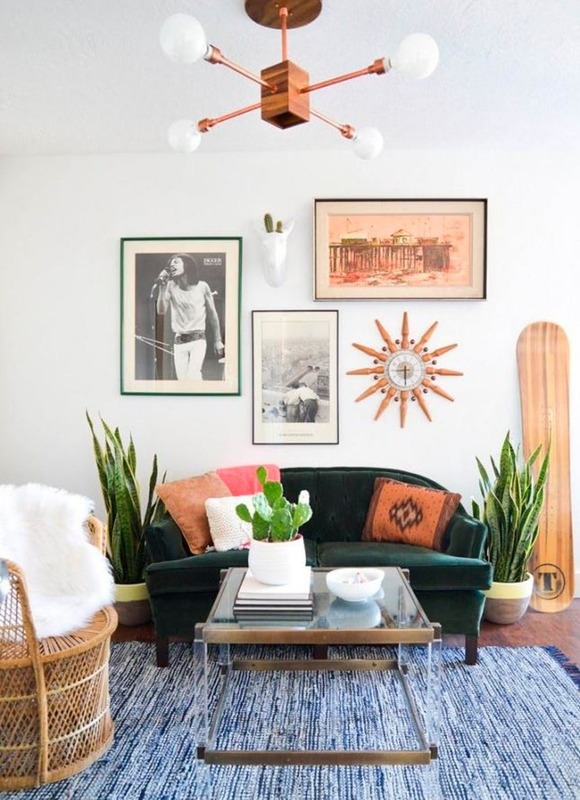 The best thing about a gallery wall is that it can be eclectic and incorporate a bunch of different things you love—just make sure it's something you actually love, not something you think you should love! 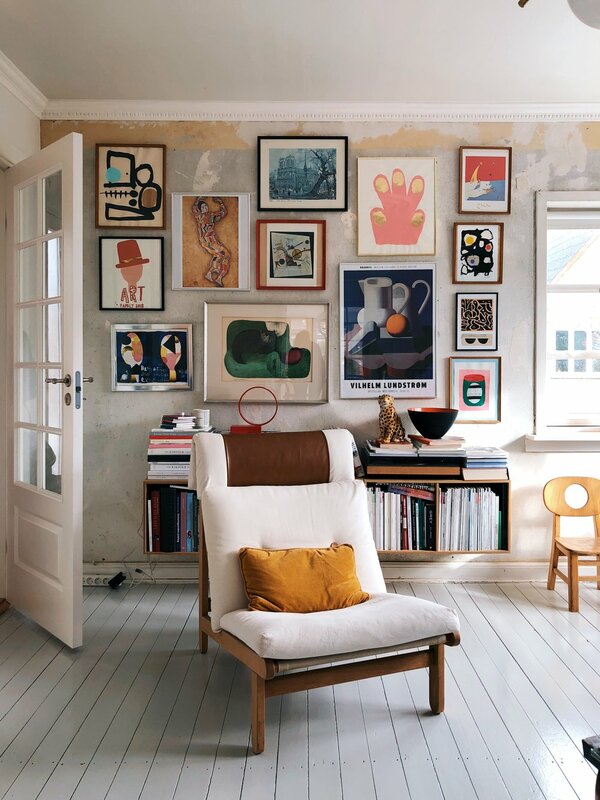 First thing's first: pick out the perfect spot in your home for your gallery wall. Try getting creative and use spots you wouldn't normally think of like stairways and corners. Once that's covered, it's all about the ideal size you want for your gallery wall. Sizing all has to do with the space you have to work with, your style, and the number of items you have to contribute. Do you want a bold gallery wall with just a couple of big items or do you want a bigger one that's a little more spread out with numerous pictures and pieces to add? Make sure to make good use of your planned space while considering style and budget. 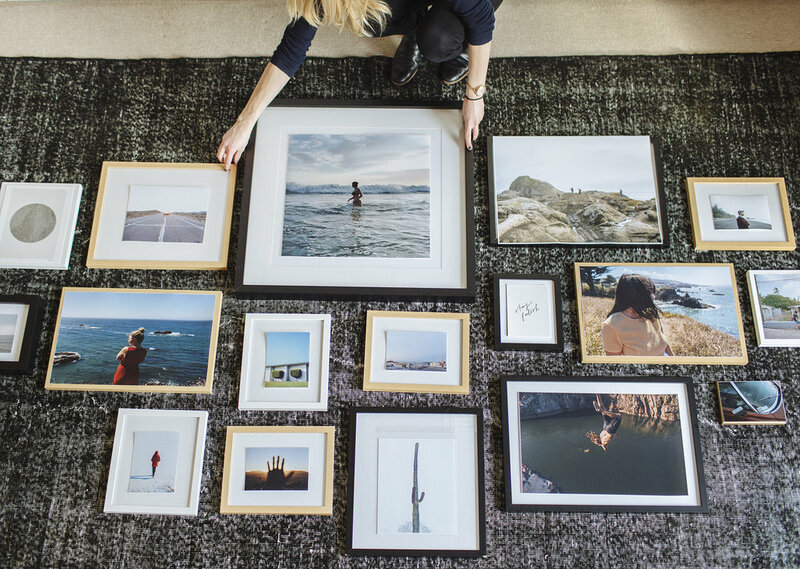 Planning out your gallery wall is key for creating the perfect one. Lay out all your frames on the floor and see which color and styles you believe to be complimentary of each other. This gives you an idea of how you want to arrange your pictures based on their individual style. Next step is to get butcher paper to trace the frames and arrange it on the wall to make sure everything is perfect before you start drilling or command stripping. Starting in the middle and working your way out is a great way to anchor your collection. A good tip is to start with your boldest, biggest, or favorite piece and then add all the other pictures around it. This makes it easier for planning since you are drawing a lot of your inspiration from your favorite piece or one that sticks out the most. Try to not be symmetrical and use an odd number of frames or items—nothing's perfect and that makes it fun! Last but not least, don't forget about all the other items you can use to create your ideal gallery wall. There is so much to choose from: mirrors, clocks, plants, macrame, decorative objects, baskets—you name it. This is an expression of you and what you love so make sure to show that in any way possible. Easy enough, right? Don't forget to have fun with it and comment to let us know what has worked for you!